No matter what your camping level we have something for all! See us in Pensacola and talk to our Travel Trailer Specialists. Consider this Preowned 2018 Forest River Flagstaff Micro Lite 21FBRS model. Stretching 21'9'' with a friendly floorplan including 1 slideout. 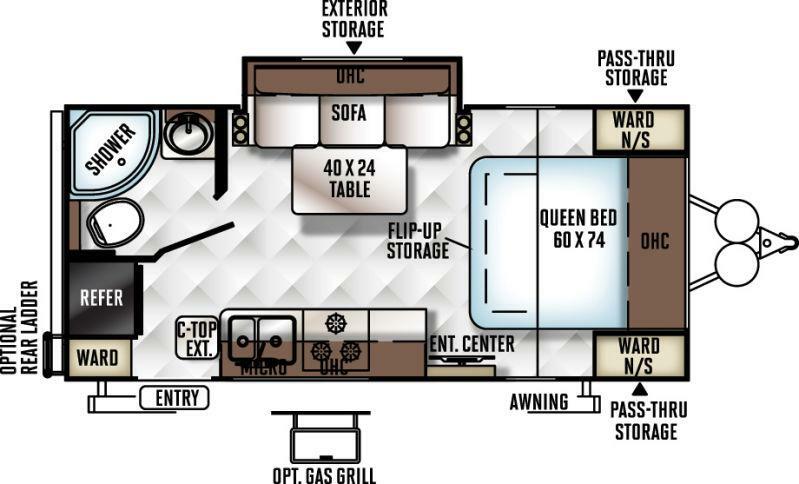 Sleeps up to 4 and promises to feel just like home. Private rear bath with walk-in shower. Cozy kitchen with handsome cabinetry and awesome appliances too! This is one you don't want to miss out on!